Folk musician Pokey LaFarge harkens back to the Americana sound of the early 20th century for his self-titled album. He wistfully mimics the sound of yesteryear with a cheery disposition that is packaged perfectly for a 21st century audience. 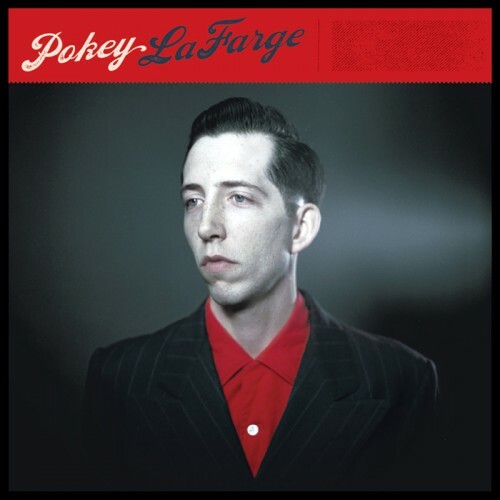 The only tell-tale sign of Pokey LaFarge being a modern recording is the sound quality but aside from that you wouldn’t be any the wiser. The man himself takes on the role of lead singer, songwriter, lyricist and acoustic guitarist to bring his nostalgic old time sound into fruition. He has also enlisted a number of multi-instrumentalists to bring a wealth of variety and colour to his jaunty compositions. Some of the other instruments used include the harmonica, upright bass, violin, viola, cello, piano, clarinet, cornet and both male and female backing vocals. Influence from early jazz music can be heard on What the Rain Will Bring, Kentucky Mae, Day After Day and Home Away from Home. While they tend to be low key when compared to many of the other songs, they do feel like a natural extension of his Americana sound. The lyrics are written in a way that wouldn’t put them out of place in music from the 1950’s or before and this as this plays right into his musical narrative and brings his nostalgic sound full circle. Pokey LaFarge has been quoted saying that “American music is the tops” and if his own music is a good reflection of his influences then it is hard to disagree with this sentiment and you’ll find it impossible not to crack a smile while listening to him.